We typically share the best practices of any given concept so that you can master it. Well, today is not typical. Instead, we are going to approach this from a different angle and offer you some of the worst practices around inbound marketing in hopes that you will avoid an inbound catastrophe. 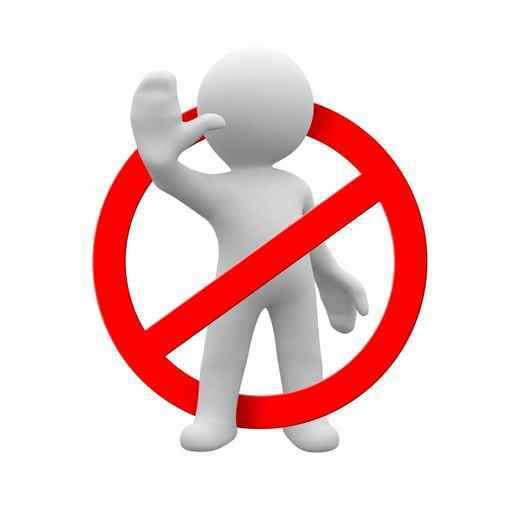 Here's what NOT to do in your inbound marketing strategies! You can easily start your inbound marketing journey by setting up a blog, writing premium content offers, creating calls-to-action, building landing pages and trying to optimize everything all at once. These are the beginning steps of inbound marketing, but if you’re not using a strategy, then they’ll offer no help in generating leads or setting you up for success. Just having the steps for implementing a strong inbound marketing strategy is not enough; you need to create a plan of action, set goals, define your audience, and develop content that speaks to them in a way that they understand. Using this framework will help you launch a more successful campaign and get even better results. Don’t guess who your target audience is, do some research and create a definition of who they truly are. It’s essential to provide content that reaches the interest of your audience; it’s also important to make sure that you are using the language & terminology that your audience understands and relates to. Create content with your audience in mind. To do this successfully, it’s essential to define who your buyer persona is (some companies may have more than one). Doing this will help you identify who is reading your content and help you understand what kind of information they are seeking. Buyer personas are the foundation of any inbound marketing campaign; knowing your buyer personas will help to develop your content strategy and provide relevant premium content offers. The better you understand your buyers, the more likely you are to convert them into customers - faster and more efficiently too, if I might add. In considering these points, you will have a better understanding of your viewers' actual wants and needs - not just their geographic location and age. It's often misconceived that all buyers are interested in all premium content offer types (PDFs, webinars, whitepapers, etc. ), but this is not always the case. Depending on your buyer persona's interests, needs, and stage in the sales funnel, they may have different interests in the type of information that they receive. Instead of creating overarching content offers, break them down based on the stages of the sales funnel. Consider which stage of the funnel each content offer would fit into by mapping out the level of information provided. Make sure that each offer appropriately appeals to the prospects in that particular lifecycle. Once your buyers have determined what they need, they will move to the middle of the funnel and begin thinking about which business to purchase from. In this case, your content should provide answers to their middle of the funnel questions, and explain why your company is the best choice. The typical question for this stage is, “Why do I need it from you?”, and is answered through more detailed offerings such as case studies, webinars and eBooks based around your product/service. Once your buyer reaches the bottom of the funnel, they know what they want and who they want it from; (in this case, hopefully it’s you). Now is the time to convert them into customers and encourage them to purchase your product or service. This stage is your chance to start selling. Some bottom of the funnel offers include free trials, demos and consultations. It’s exciting to produce remarkable content and watch the leads pour in, but you shouldn't stop there. Lead nurturing is incredibly important and will help you move your leads through the sales funnel. Eventually, this process can help convert them into customers. Lead nurturing is a strategy used to take your lead through multiple touch points, making sure they don’t forget about your business or the solutions you offer. Stay relevant in their mind by continuing to offer remarkable content that aligns with their needs and interests. Lead scoring will help you identify who the most qualified leads are, and will notify your sales team when they are ready for a follow-up. Lead scoring will help your company organize between different departments or members, and make the sales team aware of any important contacts so they can keep in touch. Maybe you used to spread your budget throughout several social campaigns, not knowing which one would perform better. This might be fine initially, but in order to stop wasting money on campaigns that are proving ineffective, it’s time to start measuring your marketing efforts before spending more! For a modern marketer, it’s essential to track campaign performance so that you can make informed business decisions in the future. It's very important that you monitor your paid campaigns on a daily basis to determine what is working. This allows you to redistribute your budget towards what really works and discontinue what does not. Are you still using an AOL email address? Is your website not optimized for a mobile device? Have you not embraced Google+? If you answered yes to any of these questions, it may be time for a marketing strategy update! Inbound marketing is quickly evolving. If you want to stay on top, then you must embrace changes when they come your way. Better yet, you need to seek out these changes! Pay attention to what’s trending in your industry, what’s popular on social platforms, updates in your software and advances in other programs you use. If you know about these changes as soon as they happen, you can position your company to stay ahead. Are you making any of these mistakes in your current inbound marketing strategies? Consider using these tips to ramp up your marketing and continue on the path to excellence.